Invited by Ron Goudsmit, Chairman of the European Casino Association, Michael Leven, President and COO of Las Vegas Sands (LVS), presented plans for the company’s mega project in Spain at the International Casino Conference 2013. 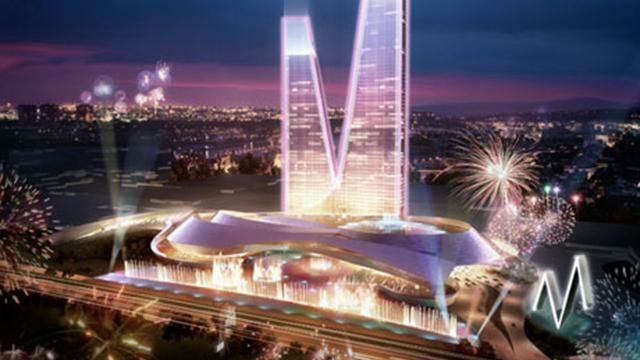 With an investment of up to EUR 9bn just for phase 1 it would easily dwarf any other casino project or in fact any other entertainment project in Europe. Phase 1 of the project (also known as EuroVegas) would include four separate resorts for a total of 12,000 hotel rooms with casino facilities attached and is due to open in 2017 (The Guardia n). In some 18 years when the project is finished it shall consist of 12 resorts (each one equal to the LVS project in Singapore) with 36,000 hotel rooms, half a dozen casinos with over 18,000 slot machines and 1,000 gambling tables, a convention centre, three golf courses, nine theatres, shopping malls, bars and restaurants. Must see attractions like a copy of Times Square are part of the design ideas (Innovate Gaming). No wonder that many of those who know the European casino industry are skeptical, too big are the numbers and investment to believe that this is going to happen. The question is: Can this business model work in Europe? LVS projects in Las Vegas, Macau and Singapore prove that its business model is not only viable but hugely successful. Bethlehem in Pennsylvania is somehow the odd project in the whole portfolio and it therefore may not come as a surprise that LVS considers to sell it. This list shows some core capabilities and provides an indication what business model LVS is pursuing. Its value proposition is being big in everything it offers its customers such as conferences, entertainment, shopping, must see attractions, hotels and, yes, gaming – all as a package in one place i.e. integrated mega resorts. Customer segmentation is addressing a wide range of customers, high-rollers as well as mass market, business as well as leisure tourists, players as well as entertainment customers, cross marketing it all to other LVS resorts. A business model based on being big, offering a wide variety of products needs on the other hand a big market. LVS speaks of some 800 million people within a few hours of flying. The number appears to be on the high end considering the fact that some 500 million people live in the EU and some 140 million in Russia. More so it is not known whether it has been taken into account that Europe, Russia, Middle East and Northern Africa (the presumed catchment area) consists of quite different cultures with different mentalities, consumer patterns and on top quite a number of different languages spoken (and even different alphabets). In other words it is a fragmented market. Compared to homogenous markets with one culture and one language (like Las Vegas/US, Macau/China) a fragmented market requires different marketing approaches, different distribution channels etc. for every part of the market muting economies of scale effects. Some will remember the problems Disneyland Paris had and still has which opened 1992 and wanted to attract people from all over Europe. It did not take off as planned and after a financial restructuring some 15 years ago Disneyland Paris is still losing money. With 15.7 million annual adult visitors – that’s anyone over the age of 11 in Disney’s world – a minimum of GBP 51 per visit, the theme park lost EUR 55.6m (GBP 45m) in 2011, and its debts are a towering EUR 1.9bn (The Guardian). Sure, it’s a different business, a different story, yet there are probably some similarities. Looking through official papers from LVS like its last quarterly report for the 4th quarter 2012 LVS appears not yet determined to go ahead with the project. Spain is one of several development opportunities and the slide ‘Capital Expenditures Expectations’ does not show any significant capex for the Spain project. By sticking to the business model of integrated mega resorts Sheldon Adelson, CEO and biggest shareholder of LVS, has been successful. With a strong record of execution it is fair to assume that EuroVegas will be built once Adelson und LVS have decided to do so. Ground breaking is scheduled for end of 2013.